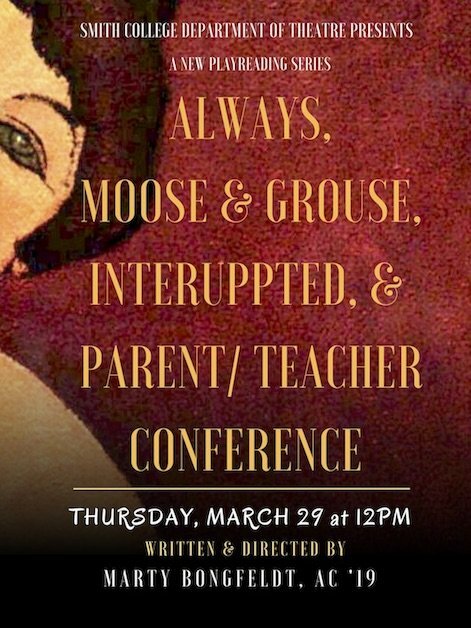 ALWAYS, MOOSE & GROUSE, INTERRUPTED, and PARENT/TEACHER CONFERENCE. Written and directed by Marty Bongfeldt, Ada Comstock Scholar ‘19. PARENT/TEACHER CONFERENCE A High School mom tries to check in with her son’s chemistry teacher.